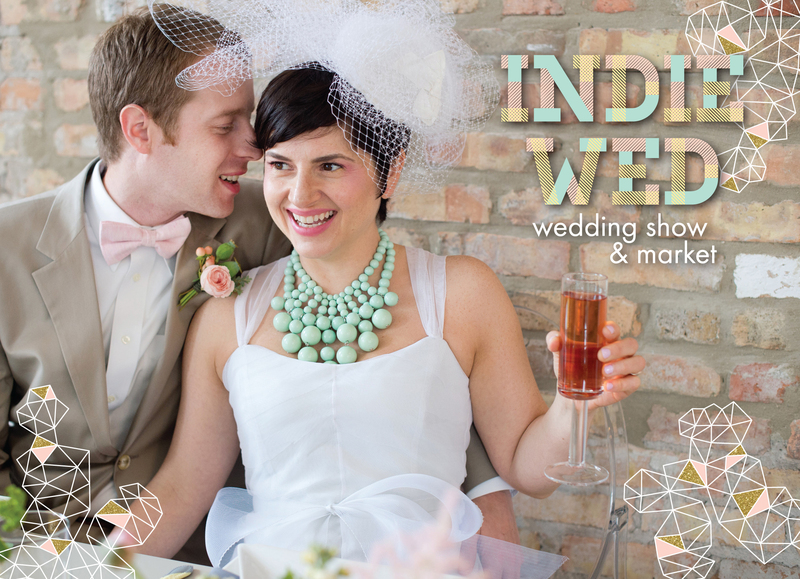 In case you are new to Indie Wed, tickets are on sale for our next event, less than a month away. 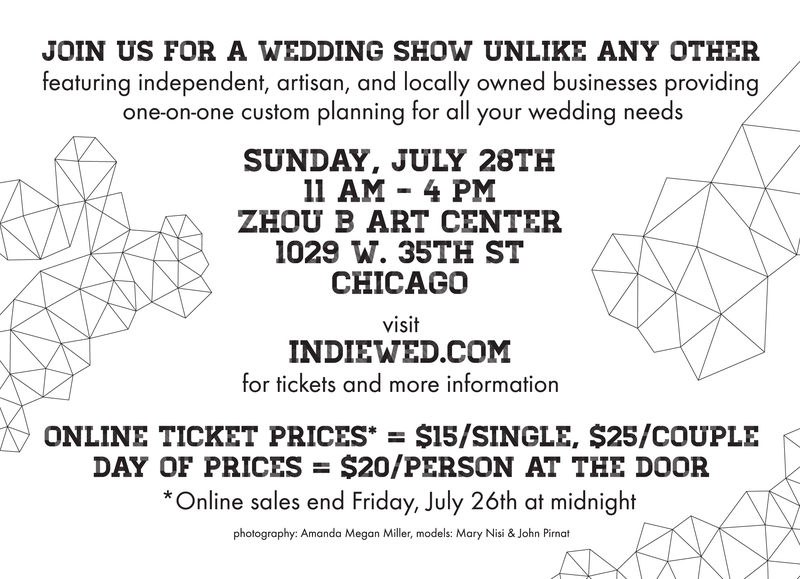 As always ticket prices include admission to the best independent wedding show in the area (or country if you ask me!). 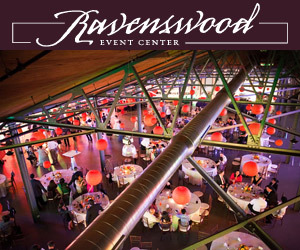 With admission you get to experience nearly 100 amazing vendors on two floors of the wonderful wedding venue (and art gallery) Zhou B Art Center. Nibble on all sorts of goodies from the caterers and pastry chefs, sample beer and cocktails from others. Try on wedding gowns… or bow ties. Pick out jewelry and invitations. Test out your dance moves to the DJ’s and live bands. And overall, have a great time while planning your wedding.